In fact, I was so obsessed with the idea of owning one that I’m a little surprised I didn’t end up doing something in the field. Then again it probably has something to do with my math phobia combined with the black hole that’s my self-confidence when it comes to the sciences. But it sure doesn’t stop me from getting excited about every single robotic advancement that gets announced. I think some small part of me is still convinced that I will one day have a humanoid robot in my home and we will be besties. That’s why I got excited when I saw this video in my feeds. As part of DARPA’s Rescue Robot Challenge, researchers at MIT have taken us one step closer to me getting my robot best friend. 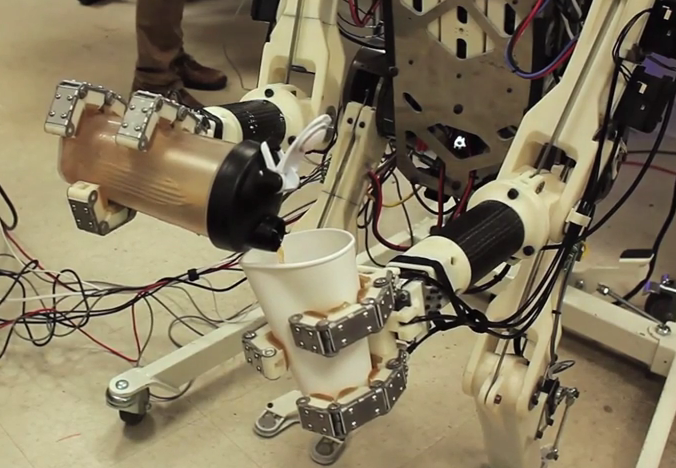 Holy COW… that robot’s got human reflexes! The interface the MIT team created has a person interact with a robot to essentially teach it human reflexes in real time. 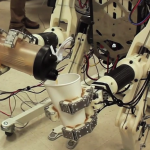 With this direct connection, the robot can learn both subtle movements complicated movements as well as bigger reflexes. Of course, the applications of this new robot interface are WAY more altruistic then my desire to have a humanoid robot entertainment system. They hope that the robots will one day be able to perform tasks in situations that are too dangerous for humans. But hey, a girl can still have robot dreams, right? Ooo the spot the robot game…my favorite!